GlitterBug Potion shows students the parts of their hands they have missed with their hand-washing making it easier for you to teach them good techniques. 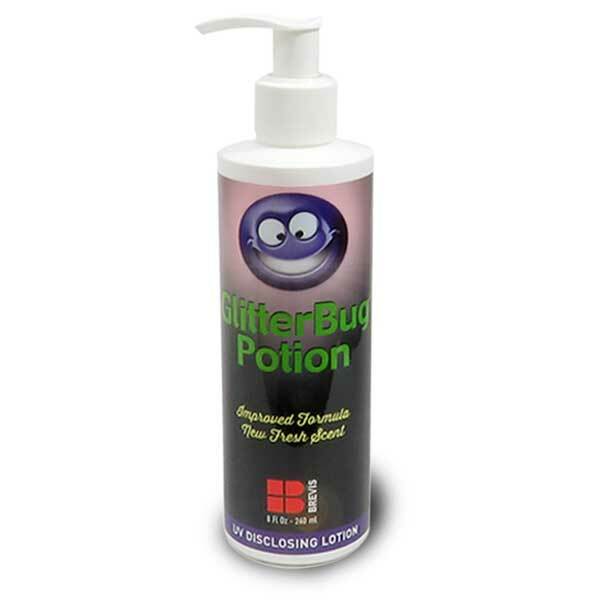 GlitterBug Potion is applied to students’ hands and rubbed in all over, including the wrist. It dries invisible. When they wash their hands, the GlitterBug Potion will be removed with good handwashing technique. However, the Potion will still be present on any areas that are missed by the washing, and this will show up under GlitterBug UV light. Commonly, the palms will be well cleaned, but the finger webbing, nail beds, wrists and edge of the hand will still show leftover Potion. Training gel for teaching and testing hand sanitiser application technique fun and easily. 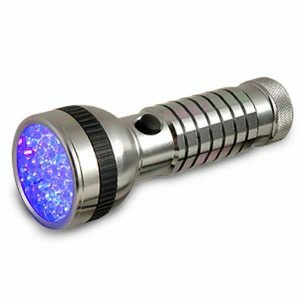 Expose the trail of contamination with GlitterBug Powder and a UVA lamp. 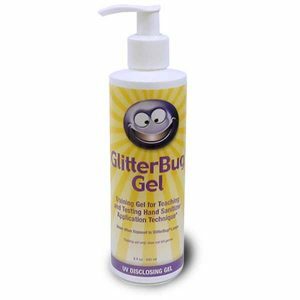 Make the GlitterBug products glow with the powerful UV torch. 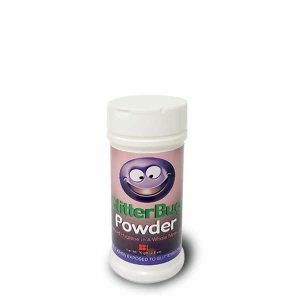 GlitterBug is invisible under ordinary light, but with the help of a UV torch you’ll see GlitterBug glow. This smaller bottle of GlitterBug Potion is perfect for correcting hand washing techniques for a single class. 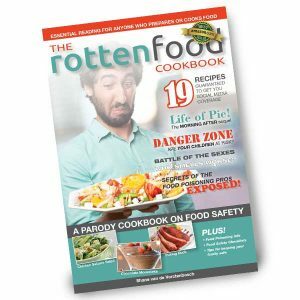 The Rotten Food Cookbook is a parody cookbook full of terrible recipes and worse puns. Each recipe spotlights a potential source of food poisoning – and features a serious message about the the cause and solution. 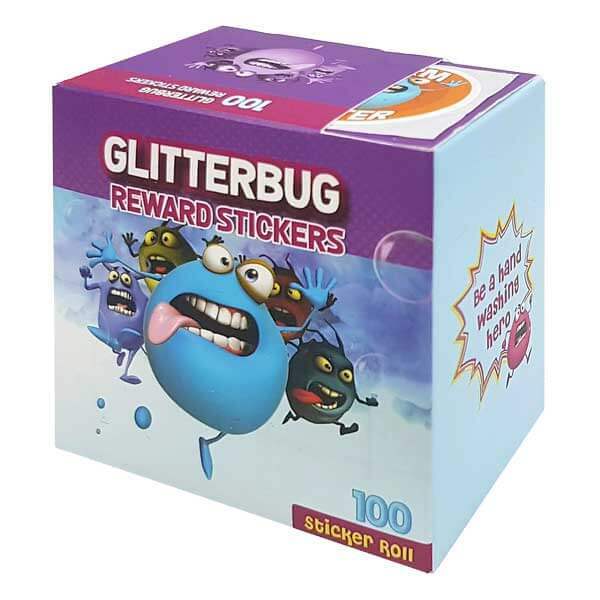 Box of 100 stickers in four varieties. Ideal for primary school students.